As soon as Thanksgiving dinner is over, many people start to decorate their homes for Christmas, often hanging lights on the roof and the eaves. Some people also enjoy stringing lights around trees in the front yard in their bid to bring Christmas cheer to the neighborhood. If you don’t have a front yard or trees to hang with lights, you might want to decorate your apartment’s balcony or the second-story balcony of your house to augment lights on the roof and front. 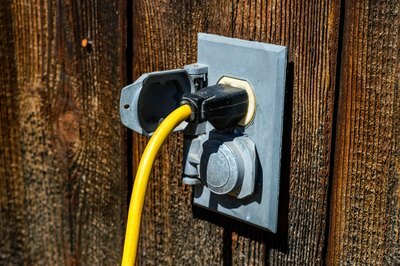 Plug an extension cord that’s rated for outside use into an electrical outlet located on your balcony. If you don’t have an outlet there, run it into your home through the small space between the closed or nearly closed sliding glass door and the door frame if it fits. 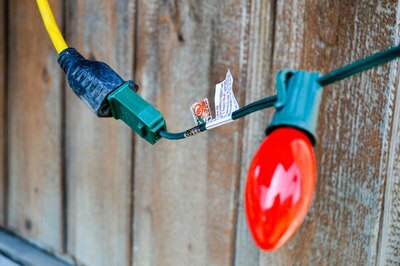 If you don’t have the option of plugging in your lights, you can use battery-powered or solar-powered LED Christmas lights. Plug a string of Christmas lights into the end of the extension cord if you are using power from an electrical socket. 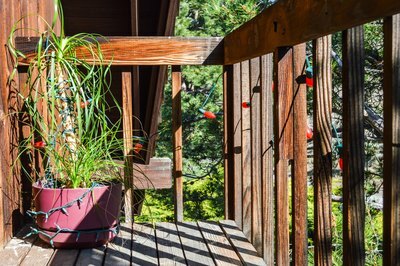 Wrap a string of lights around the metal railing of your balcony if you have an open-style balcony, so the lights curve around like a striped candy cane. Start from the top and move down. Jump over to the next bar or pole and start wrapping upward and continue in this fashion until each is wrapped in lights. 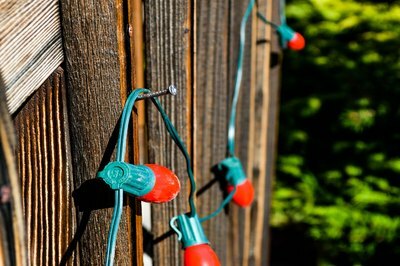 Screw metal hooks or drive nails into a wooden balcony front and hang loops of Christmas lights from them. 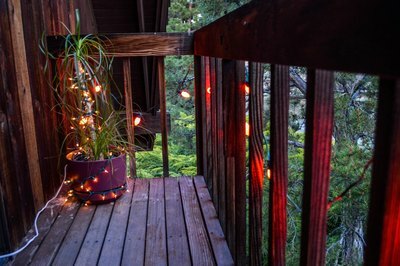 You can also place your string of lights in a straight line across the top of the wooden balcony railing. 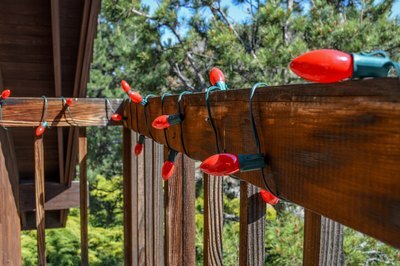 If there are wooden ceilings or sides to your balcony, screw in additional hooks there and use them to hang more strings of Christmas lights like garlands along the top. Place a small potted tree on your balcony. Wrap a string of Christmas lights through the branches and leaves. This will make a miniature festive Christmas tree. Turn off power to these lights when you need to water the tree. Plug the Christmas lights’ extension cord into an electrical socket, or turn on the battery or solar-powered lights after you have decorated the balcony to evaluate how they look.